Bowflex Series 7 Treadmill, motorized, computer-programmed and ready to go the distance Deluxe model, with incline adjustment, telemetric heart reading capability and 15 programs. Bowflex Series 7 Treadmill some wioth fifteen workout programs: Manual, cardio, running, fat burn, speed interval jogger, hill intervals, 5K run with 12 intervals, heart strength/recovery test, calorie goal, distance goal, fat burn heart rate calculation, cardio heart rate calculation, body mass index (BMI) test, two custom programs . *Note: Most of the sites, stores or shopping portals listed above sell Bowflex Series 7 Treadmill with discounts and other exciting offers. 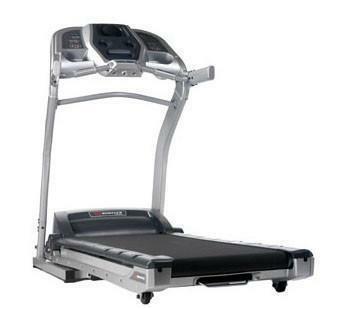 There is a possibility that the some of above websites are not selling Bowflex Series 7 Treadmill now. Toughtrain.com is not liable for such cases or instances. Also we do not recommend any seller for Bowflex Series 7 Treadmill and a buyer should buy from where he/she gets best deal with quality of products, service and on time delivery (shipment).